Ford's redesigned Fiesta Super 1600 rally car will make its international debut in Great Britain next weekend with former British champion Gwyndaf Evans behind the wheel. The Welshman will pilot the two-wheel drive machine on the Pirelli International Rally, the second round of the British Championship, which is based in the daunting Kielder Forest on the England-Scotland border. 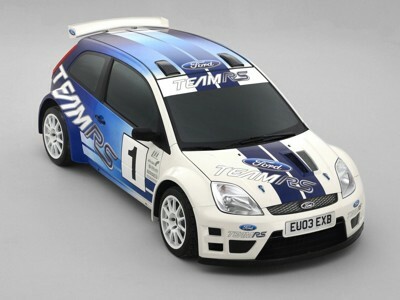 Evans, who will be co-driven by fellow Welshman Huw Lewis, tested the Fiesta S1600 for the first time last month. He will complete another test session in Cumbria on Monday in preparation for the two-day rally which starts in Carlisle on Friday afternoon. The car will be run by M-Sport, the company which operates Ford's World Rally Championship programme and which took over full responsibility for the development of the Fiesta S1600 at the end of last year. It will be supported by The Sun newspaper. The Fiesta S1600 made its debut on the Acropolis Rally in Greece last year, a round of the FIA Junior World Rally Championship. After starting in both Greece and the following round in Turkey, more development was needed on the car to ensure it fulfils its potential and responsibility for the project was given to M-Sport. Under JWRC regulations, teams are allowed to play five 'jokers' during the first year of the car's life to change homologated parts. M-Sport has taken full advantage of that rule to further develop the Fiesta. The flywheel, clutch, gearbox assembly, differential and front sub-frame have all been modified and the car received official FIA approval at the start of April. 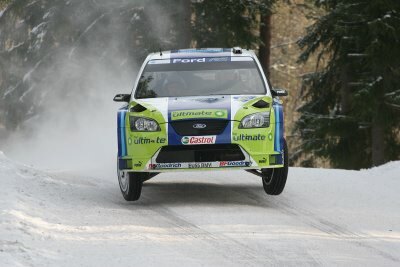 Since then the revamped Fiesta has competed on two national events in Turkey where it was driven by Yagiz Avci. Performance was hugely encouraging and Evans, who tested the car before both events, is looking forward to the challenges offered by Kielder Forest. "I'm as excited as hell!" he admitted. "The Fiesta is a really exciting prospect. The car is aimed at privateer drivers so our primary focus at the moment is to make it 100 per cent reliable. The only Ford car that I can compare it with is the Puma JWRC and my experience of the Fiesta tells me that it is better in every aspect. To make it a top contender at JWRC level we have to develop it a small bit in every area and that's what the Pirelli Rally will be all about. "The car looks fantastic. The layout and the weight distribution are good and some of the areas I'm looking to concentrate on are suspension and handling. Private testing is always good but nothing beats solid test mileage in a rally environment and that's what we're hoping for next weekend," he added. M-Sport managing director Malcolm Wilson said he was hoping for good feedback from Evans. "We're still in the early stages of developing the car. Gwyndaf is a highly experienced driver who won the British Championship for Ford and has an excellent reputation for testing. I'm not looking for overall results at this stage. What is more important for us is for Gwyndaf to provide positive feedback on what is good with the car and the areas where we need to concentrate our development in the future. If he can do that and demonstrate the competitiveness of the car via individual stage times, then I will be happy," said Wilson.